Gosh, fabulous rendition of a fabulous pattern. Wish I were going to be the recipient! Absolutely worth the effort! How fantastic! And I love the back of it, just glorious. 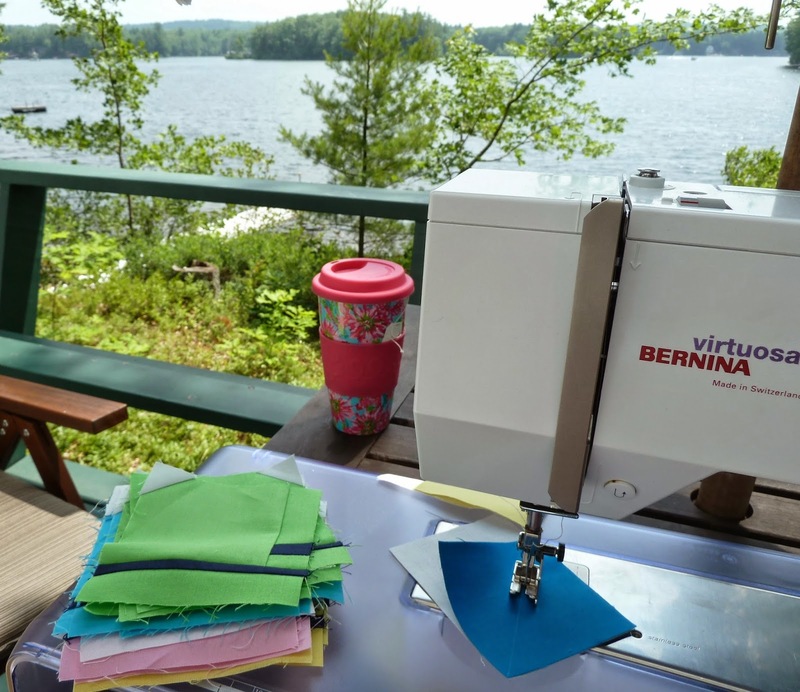 Quilting and a wine or two - brilliant plan to use organic lines. I look forward to seeing future projects. Well done! This is my most favorite quilt! I love Elizabeth Hartman's patterns, she is well organized and produces well written patterns. Love the organic wavy lines you quilted. Can't wait to see this quilt in person! 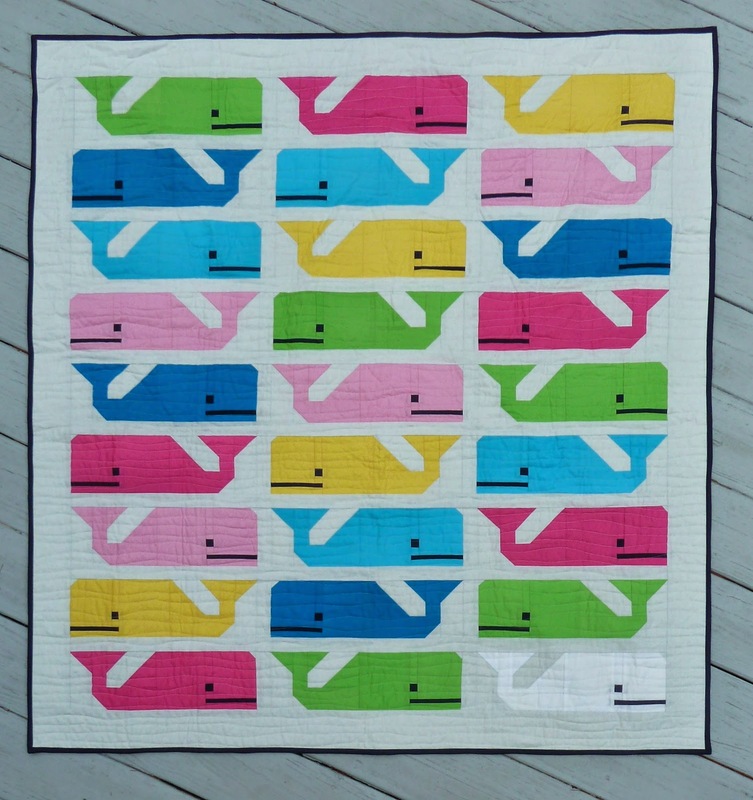 This quilt is absolutely adorable! I love the colours you used. 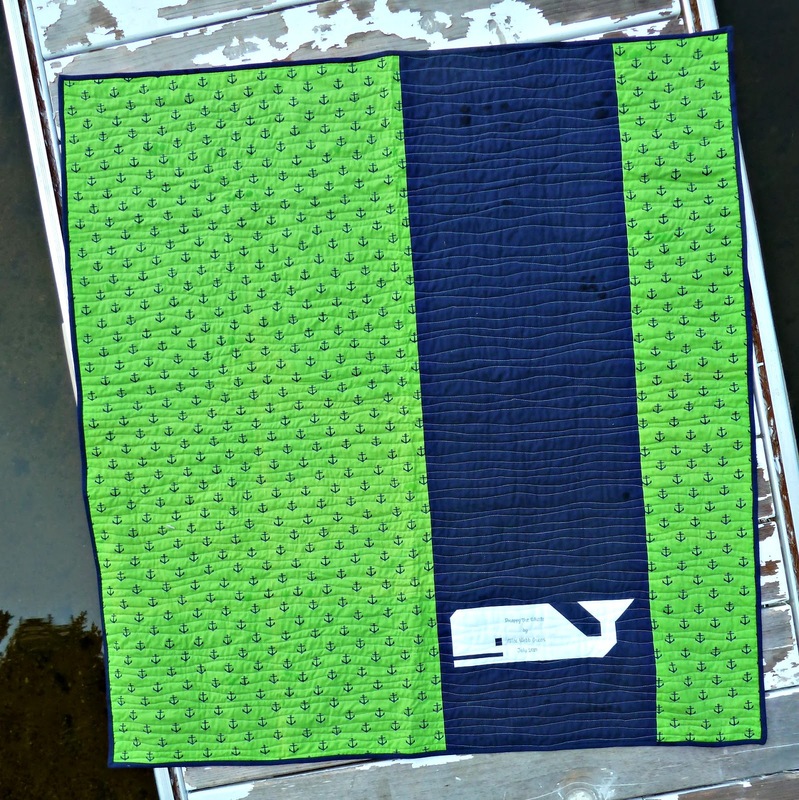 Preppy the whale is adorable. Great choice of the wavy line quilting. Love the location for the last photo. 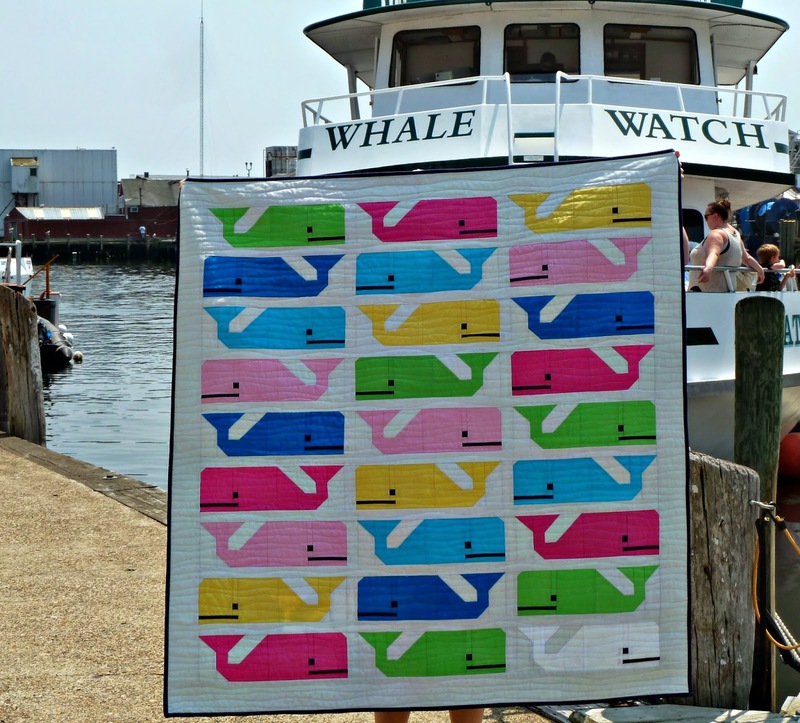 This is a great summery quilt and I really like the white whale as a label on the back!! Your quilt looks great! Love the photo shoot! I was drawn to your quilt back and had to come see.